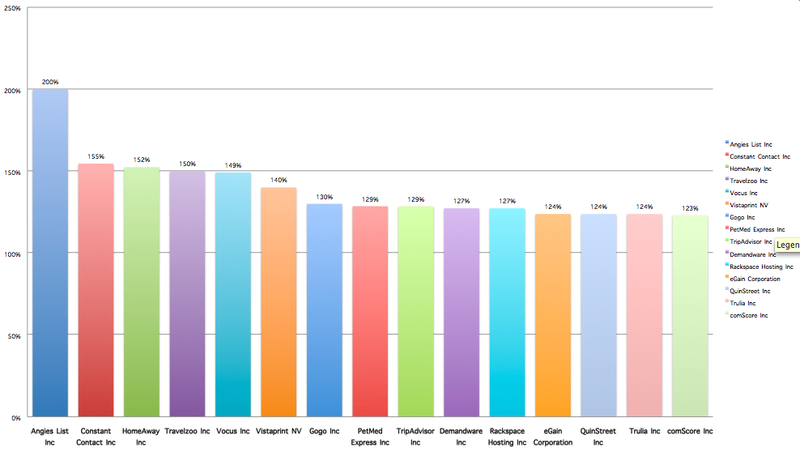 Annualized change in searches during the period May 2013 to April 2014. 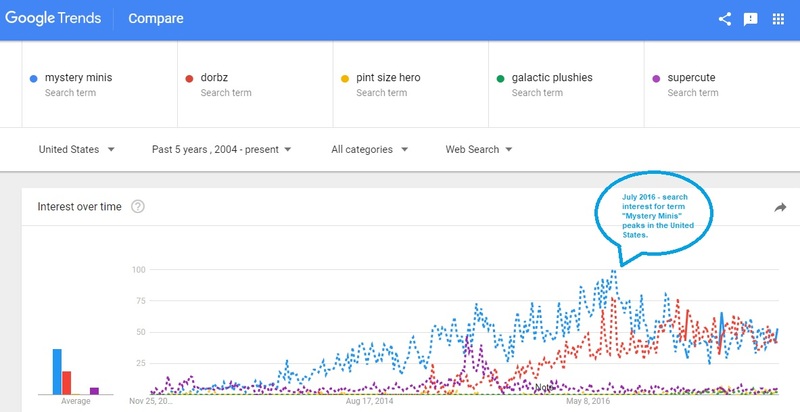 Largest increase in searches between March and April 2014. 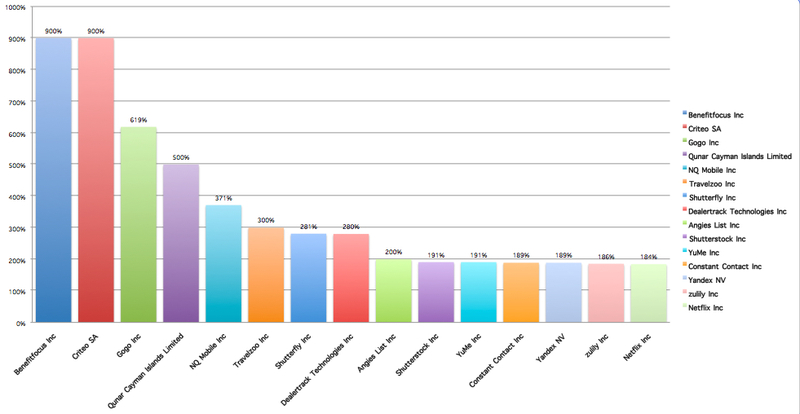 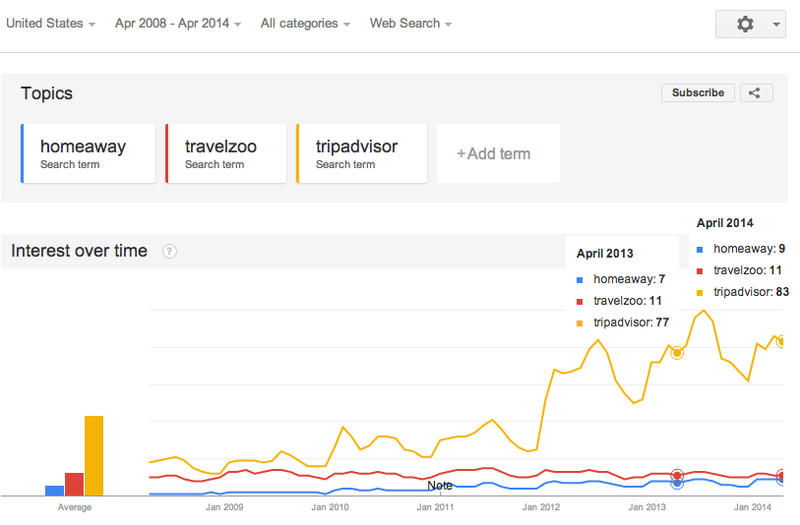 Year over Year search comparison for Travelzoo, HomeAway and TripAdvisor.